Got HVAC questions? We've got HVAC answers. Q: My heater or air conditioner isn’t working, what should I do? First and foremost, clean your filter. The most commonly forgotten of solutions, cleaning the filter of your HVAC unit is your best bet for a free fix. If the problem persists, give us a call and let us know what seems to be the problem (ie. the unit cycles off on its own, the heater is blowing cold air, the AC isn’t blowing cold air, etc). Our team is always happy to help. Q: I’m not the homeowner, but my heater/AC needs to be serviced. What do I do? There is a diagnostic fee for all service calls. If you choose to perform the recommended repairs with us at the time of appointment, however, that fee is waived. If you are a renter and do not want to pay for the service, contact your landlord or management and find out if they will fix it or if they will reimburse you. Feel free to have them give us a call as well! If you do plan to pay for the service yourself, we will be happy to schedule a service for you. Q: What’s the benefit of doing maintenance if there aren’t any issues with my HVAC system? Maintenance is about preventing issues. Think of your HVAC like a car: do you routinely take it in for an oil change and checkup, or only after it breaks down on the freeway? HVAC systems are complicated pieces of machinery that require regular attention to function at peak efficiency. In choosing not to do HVAC maintenance, you also risk voiding your warranty and shortening the system’s lifespan. Q: How often do you recommend doing HVAC system maintenance? You should be cleaning your HVAC filter at least every other month. Aside from that, a quick tightening up, inspecting, and servicing the unit twice a year is all you should need. Our fantastic $159 Heating & Cooling Maintenance Special is designed for that! Q: How do I know if my heater or air conditioner needs to be replaced? These can all play a role in determining the lifespan of your HVAC. If you think it might be time to replace your unit, feel free to give us a call and we’ll be happy to talk you through it. Q: My AC is dripping. What’s going on? While a leaky condensate line is a common problem, it’s definitely something to have a tech look at since it can be a sign of a greater issue. Give us a call to better assess the problem and we’ll send a tech out to take a look as soon as possible. Q: My AC shuts off after a few minutes. What do I do? The time-honored tradition of unplug-it-and-plug-it-back-in can be a solution if you’re experiencing problems with your HVAC. If you have tried this method, and also tried cleaning the filter, it’s likely there is a deeper problem with the unit. Give us a call and let us know what’s going on, and how you tried to resolve it, and we’ll send a tech out ASAP. Q: My AC isn’t blowing cold air anymore. What happened? Most likely, you just need more refrigerant or freon, which is a minor issue with a quick fix from a trained technician. Try cleaning your filter and turning the unit on and off for good measure, then give CES a call and let us know to send a tech your way. Q: My AC is really loud. Is something wrong? Most likely, if it’s an older unit, it just wasn’t made as efficiently and is therefore noisier. However, this is not a guarantee. If you’re noticing any issues with your AC, or it’s louder than it used to be, give us a call let us know. We’ll be more than happy to take a look and give you peace of mind. Q: My heater doesn’t heat up very fast. Is something wrong with it? The older the unit, the slower the unit. Beyond that, there are two potential problems it could be: a need for a replacement or tuneup, or a ductwork issue. We offer a $59 tune-up special to have the system tightened up, inspected, and serviced. It the issue is in the ductwork, then likely the heat is leaking from the ductwork before it can get to your vents. For this problem, we would recommend an energy assessment to have a specialist come out and take a look and determine the problem. Q: My heater is blowing cold air. What do I do? If your heater isn’t heating, there’s definitely a problem. Try first unplugging the unit and plugging it back in (unless you have a roof unit, then just call us). It seems mundane, but if that solves the problem, it saves you money. If that doesn’t get the system to sort out its own problem, give us a call and we’ll send a tech out to help. Q: My heater has a burning smell. What do I do? The first use of the season always brings out a weird ‘burning’ smell. It’s completely normal. If the problem persists after an hour or two of use, or more than one or two days, give us a call and let us know. 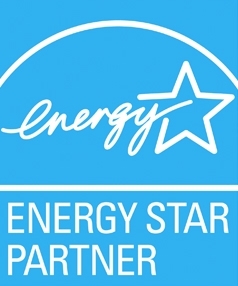 We’ll put you through to an energy specialist who can talk you through it and help decide if there’s a bigger problem. As always, get in touch with us with any additional HVAC questions. We’re happy to help! Get started with a free hvac consult! "Noah R. (Field inspector) was great and knowledgeable throughout the entire process of getting my Milgard windows replaced." If dealing with the summer heat hasn’t been easy, you can rest assured that you’re not alone. Fortunately, there are plenty of things you can do to beat that summer heat, many of which either won’t cost you a dime or will save you a whole bunch of them! Not sure where to start? Here are five tried and true tips for keeping the heat at bay, all of which are worthy of your attention. The dog days of summer here in El Dorado Hills and the Foothills area have been taking their toll on home systems, especially air conditioning systems. AC wear and tear is not just a slow-building annoyance – it creates a set of risks that homeowners should consider. Here are 4 major reasons why AC maintenance is key.